Have you ever tried making a paper collage? So.much.fun! 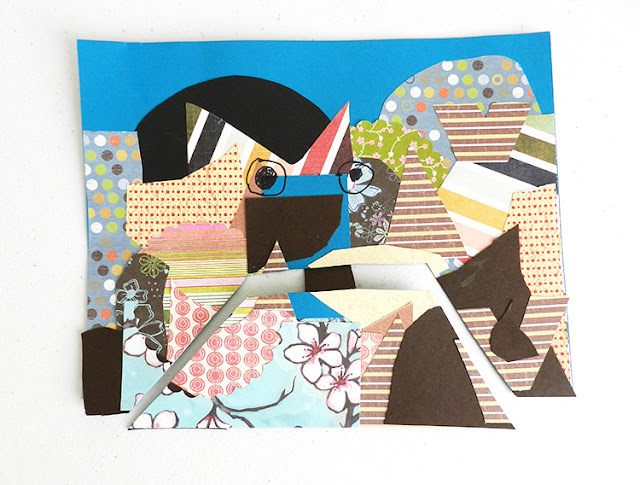 My son and I created these landscape paper collages over the summer. 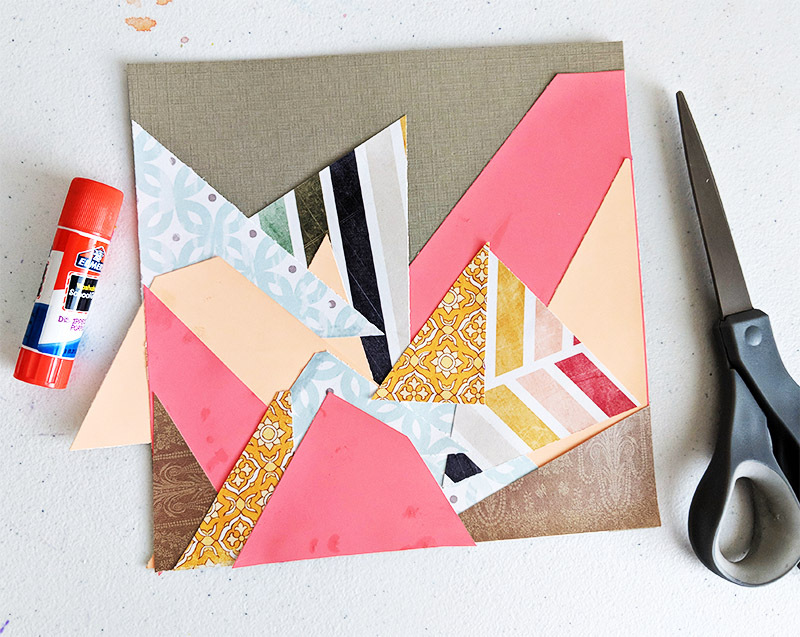 It made for an easy kid's art activity plus it helped me use up my paper scraps! 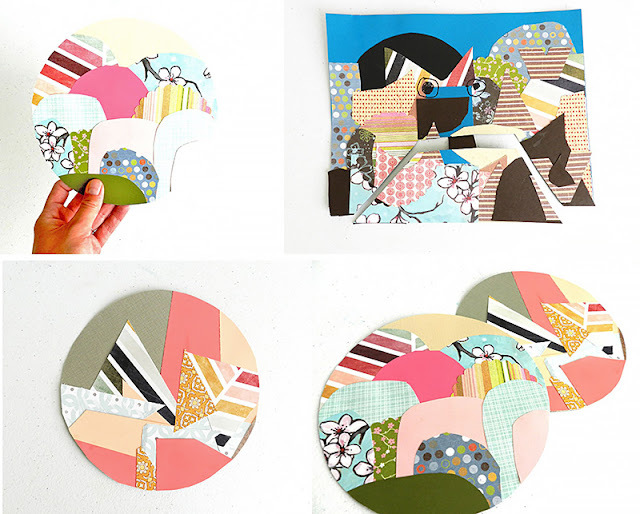 This is a loose tutorial on how to make a paper collage landscape. You can get creative with the shape you make your landscape on. My son chose to use a rectangle, while I liked the circular landscapes. They don't even have to be landscapes either- you can get creative and turn yours into a monster, animal, or any other kind of creature like my son did with his! 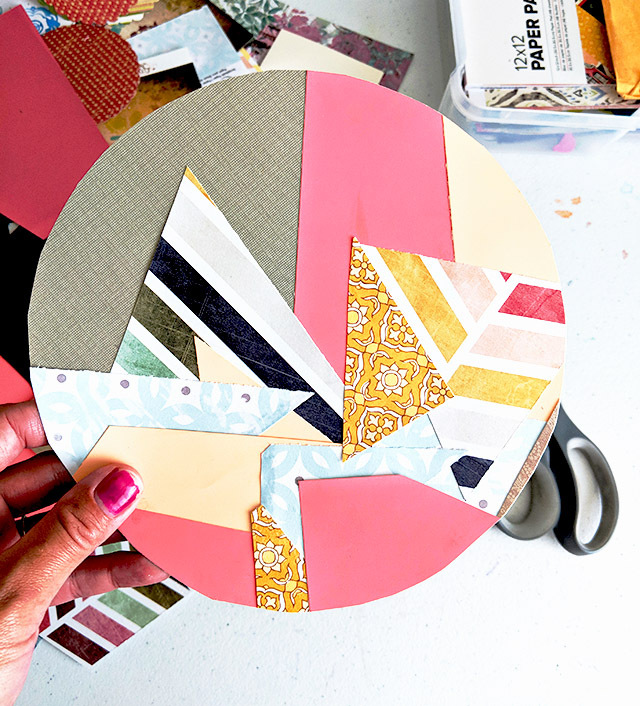 Step 1: Using a large piece of card stock as your base, use a glue stick to attach random shapes of scrap paper in various colors, sizes, and patterns. 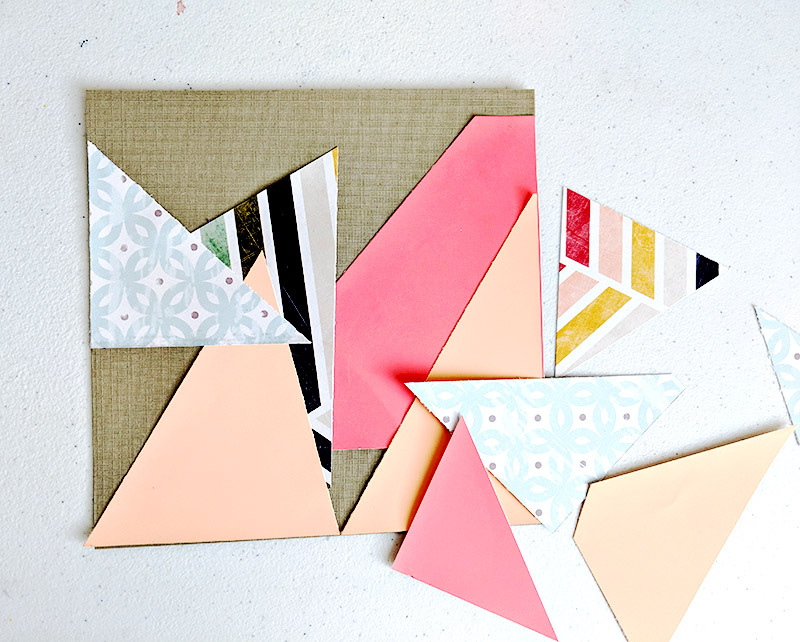 I cut geometric shapes for this piece, but you can also go with organic shapes of a mix of both. If you are going for a landscape look, attach paper pieces at the top of your scene first, leaving some empty space at the top. The lower pieces that you add on later will make up the middle ground and foreground of your scene. 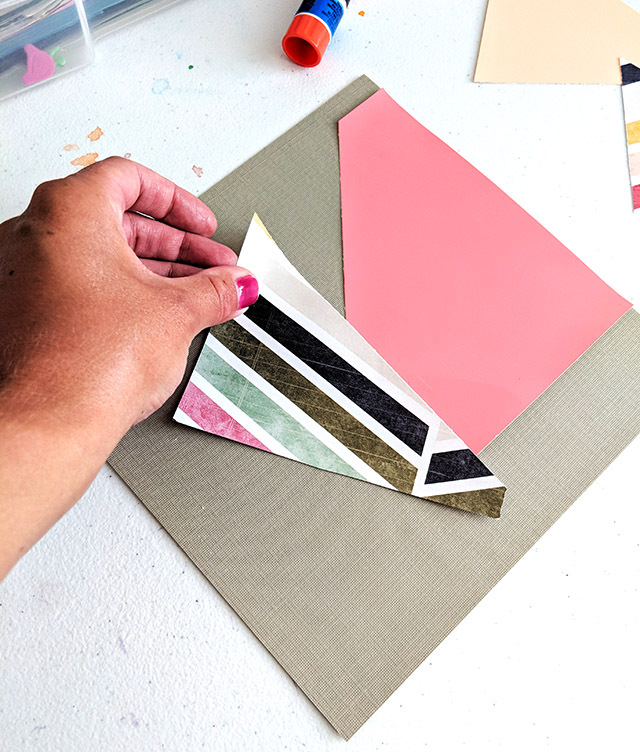 Step 2: Layer paper pieces to cover the entire width of your base paper, leaving some space at the top. Layer paper pieces all the way to the bottom. 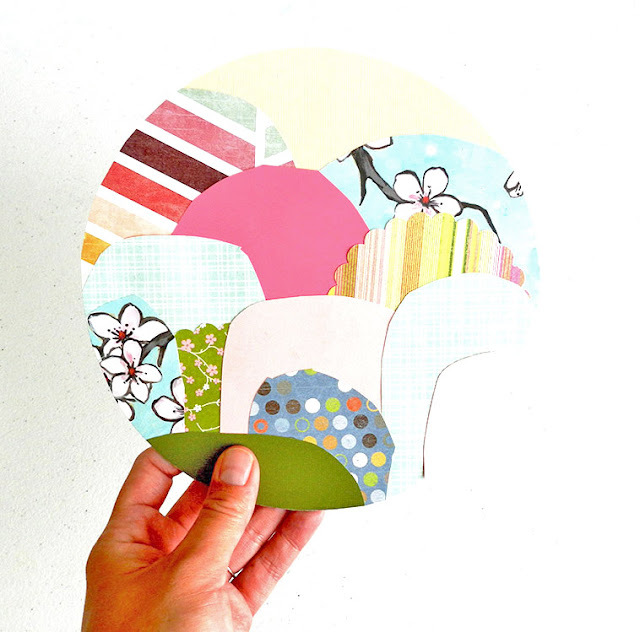 You can create mountains and hills out the paper pieces by placing contrasting colors and patterns against each other. Step 3: Once the glued on pieces have all dried, you can cut out the final shape that you want your landscape to be. 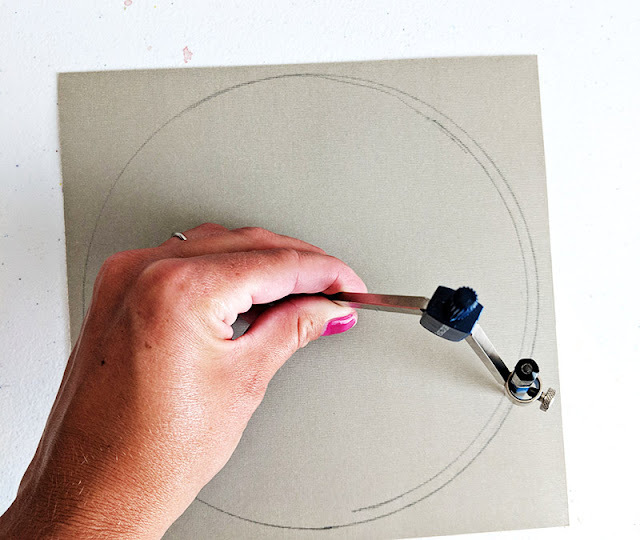 Since I wanted a circle landscape, I traced a circle on the backside of my base paper and then cut it out. When you flip it over- you have a nice trim circlular piece of art! Here's another piece I made with more organic shapes. I used a large flower paper punch to create some of the shapes. So fun! My son made a rectangular landscape and then decided he wanted to turn it into a creature! So he added some eyes and cut our a piece for the mouth. My advice is to let your kids use their imagination with this project. It's better that way!